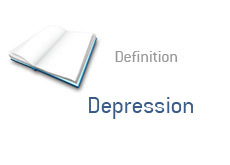 What Is The Definition Of A Depression? Q: What exactly is a "depression"? According to Wikipedia, an economic depression is described as "a sustained, long downturn in one or more economies". A recession, which is a normal part of any economy, is usually described as being two straight quarters of negative GDP (Gross Domestic Product) growth. A typical recession lasts between 12-18 months. Sound familiar? 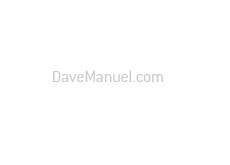 We are currently living in a deflationary environment (as of the time of this article), and we are seeing a spike in unemployment numbers, frozen credit markets, reduced commerce and a number of major bankruptcies. Some economists feel as though a depression comes about when there is a 10% decline in GDP, but there is really no one single definition that is used by all. The definition of a "depression" is truly subjective. Many people are starting to feel as though the United States is suffering through a depression as we speak. The question is: how severe will this depression be? There have been a number of depressions over the past 200 years. There was the "Panic of 1837", which was brought upon by a popping of the US real estate market. This depression lasted for five years. There was the "Long Depression", which lasted from 1873 to 1896. Finally, there was the "Great Depression". which lasted from 1929 until 1933. In reality the "Great Depression" lasted until the late 30s, as there were a number of short bursts of growth that were followed by further recessions. There is really no way to know how bad this depression will be until after the fact. Will the world be able to stabilize a fractured banking system? 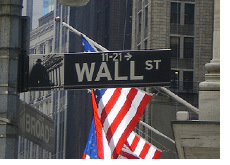 Will investor confidence return? Will the $800 billion dollar stimulus package in the United States be successful? Will companies begin to hire instead of fire? All you can do is sit back and try to brace yourself as best as possible. Things have the potential to get really bad - how bad? We won't know for years.